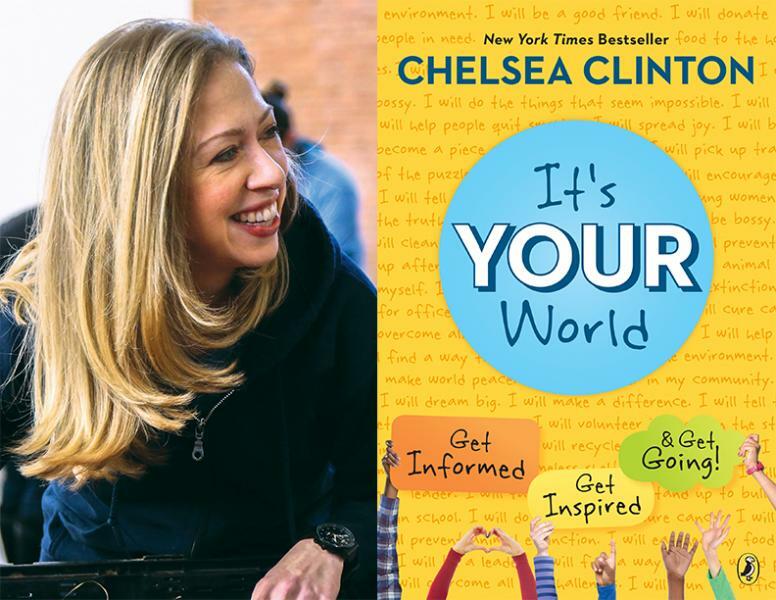 Left Bank Books welcomes Chelsea Clinton, who will sign copies of her book It's Your World: Get Informed, Get Inspired & Get Going! In a book that tackles the biggest challenges facing us today, Chelsea Clinton combines facts, charts, photographs and stories to give readers a deep understanding of the world around them, and how anyone can make a difference. With stories about children and teens who have made real changes big and small—in their families, their communities, in our country and across the world—this book will inspire readers of all ages to do their part to make our world a better place. With suggestions and ideas for action, Chelsea shows readers that the world belongs to every single one of us, and every one of us counts. You can make a difference. You can make a change. It's your world. Tickets available below. Please note: those who purchase a ticket and do not attend the event must pick up their copy of It's Your World or contact Left Bank Books to arrange for shipping within 60 days of the event. – This event is a BOOKSIGNING ONLY. Chelsea will not be speaking at this event. – You must purchase a ticket to enter the signing line. Your place in the signing line is first-come, first-served, and will be determined by when you arrive. – Chelsea WILL sign and personalize all copies of It's Your World purchased from Left Bank Books. Additional books will be available for purchase at the event.